This is a classic canvas and by that I mean it’s been around for a while but is back in stock here at Homestead. 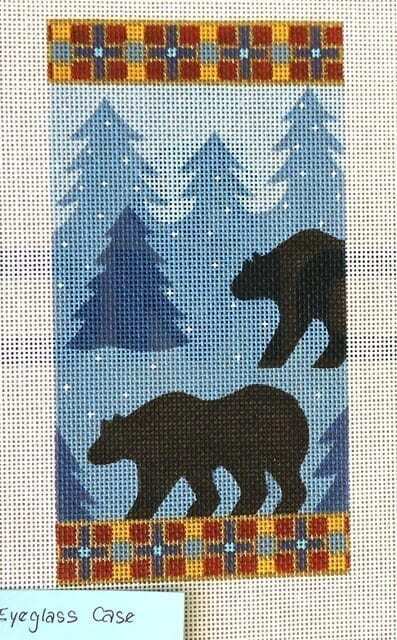 This very popular eyeglass case features two bears walking through a snowy fir tree forest. There are top and bottom borders in red, peach, blue, turquoise, gray, navy and gold. 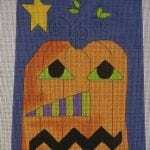 Painted on 18 ct, the design measures about 3-1/2 x 7″. Don’t want an eyeglass case? 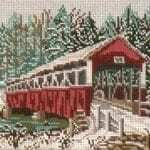 Frame this when finished or make it into a pillow for the lodge look!